You can actually see Samuelson's Rocks from the highway. Samuelson’s Rocks. 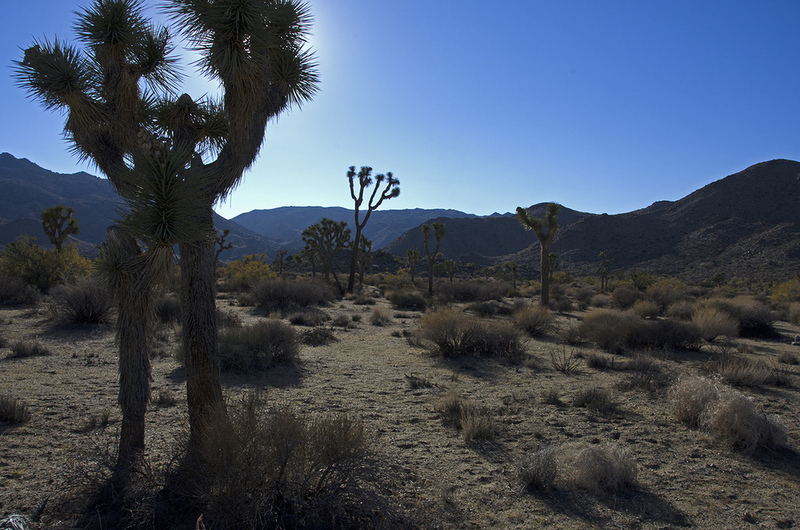 Chances are good that most visitors to Joshua Tree National Park have never seen them, let alone even know they exist. And of those who do set out to find this elusive and evocative site, many of them never return. Just kidding. But in reality, not everyone who tries to find them succeeds. 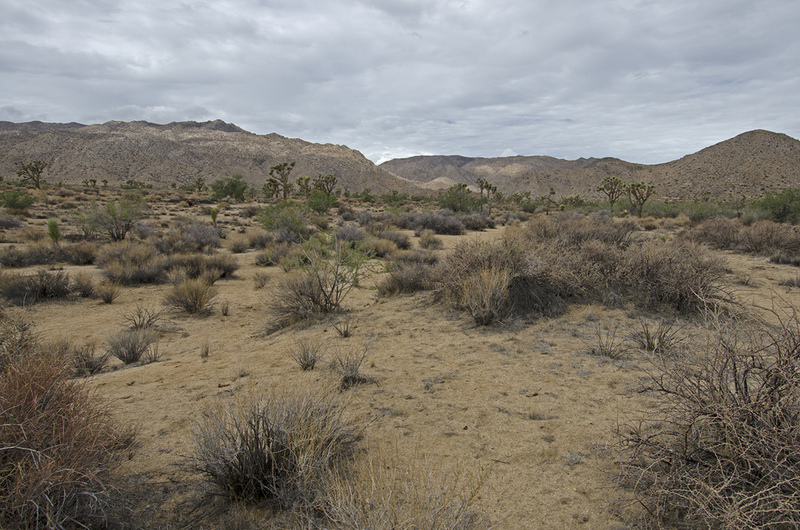 As the Rocks are not an ‘official’ National Park site, there is no sign on the road, nor marked trail to the site. And maybe that’s a good thing. So who was Samuelson, what are his rocks and why was I hiking to them? 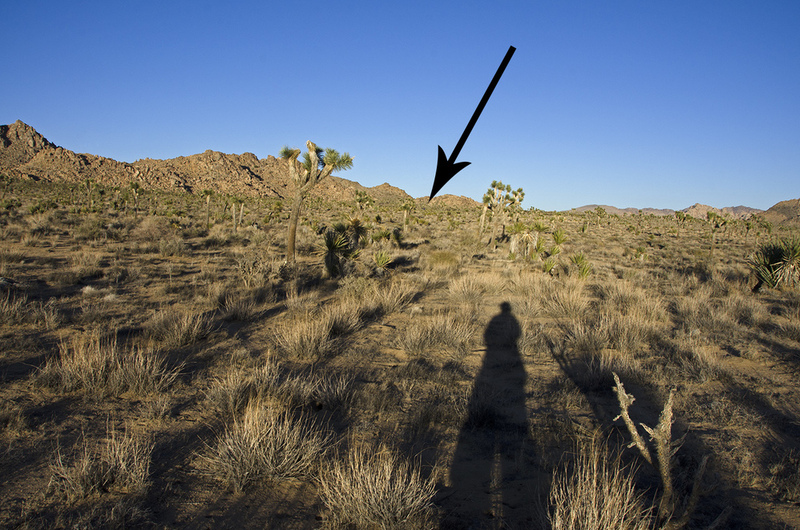 Well, in reverse order: I love the out-of-the-way and seldom visited points of interest in the park and am hoping to share many of them with like-minded folks, before I eventually get lost in the desert and eaten by coyotes. 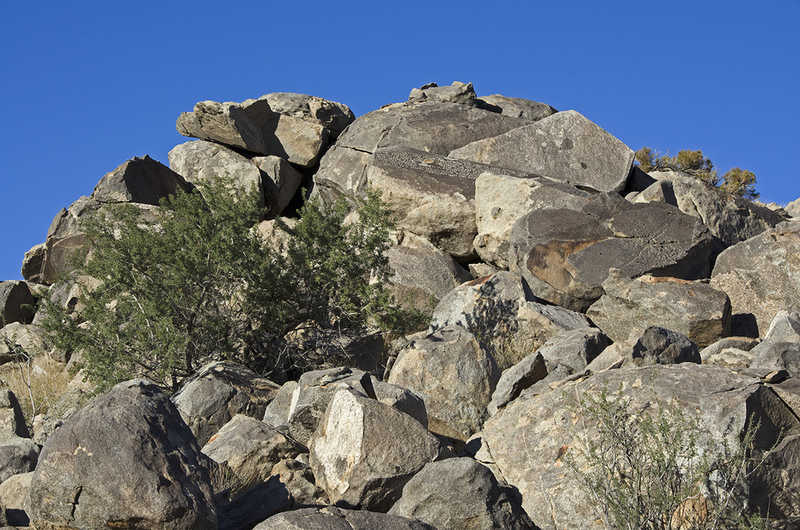 Next, Joshua Tree is full of rocks but Samuelson’s Rocks are special. They are rocks with one or more sheer, flat sides that have had philosophical and political thoughts carved into their surface. To the best of my knowledge there are seven such rocks, one of which has two sides with Samuelson’s chiseled thoughts, for a total of eight unique declarations on life. So, who was John Samuelson? John Samuelson, a native of Sweden, showed up on pioneer rancher Bill Keys’ doorstep in 1926 looking for a job. Strangers showing up and looking for work in the middle of the desert probably didn’t happen too often, so Keys hired him to help around the ranch and to work his Hidden Gold Mine, located near the overlook at Keys View. Samuelson evidently wasn’t too keen on working for someone else, as he decided to homestead and prospect for gold the following year. 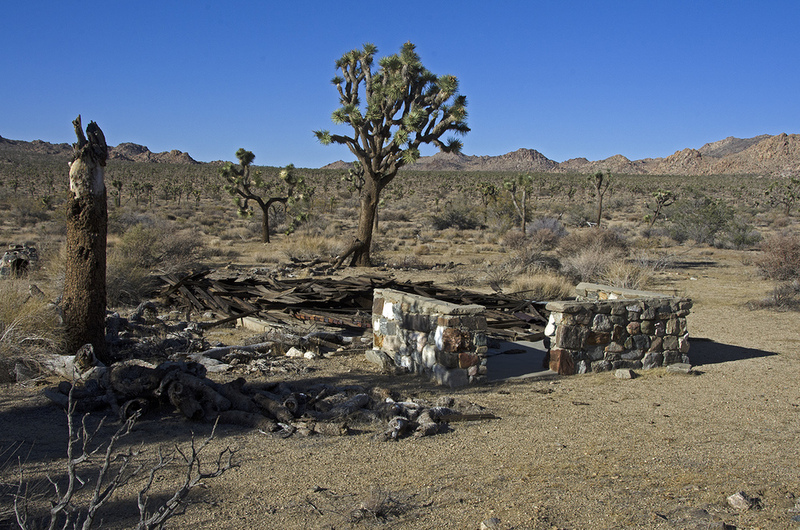 He located on a piece of property in the middle of Lost Horse Valley, to the northeast of Quail Springs. He and his wife, Margaret, lived in a small wood and canvas shack that Samuelson built on a small hill. 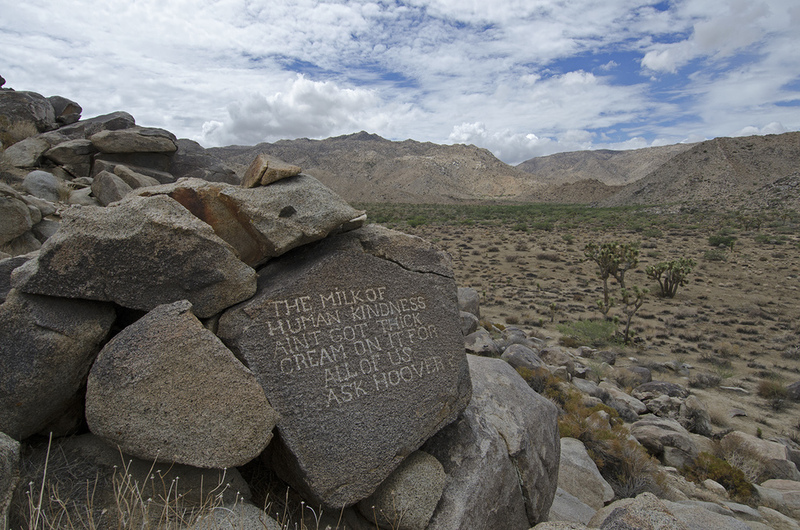 When he wasn't working his claim, hauling water from Quail Springs or otherwise engaged in the sometimes harsh struggle of living in the desert, Samuelson carved philosophical and political sayings on flat-faced rocks near his home. 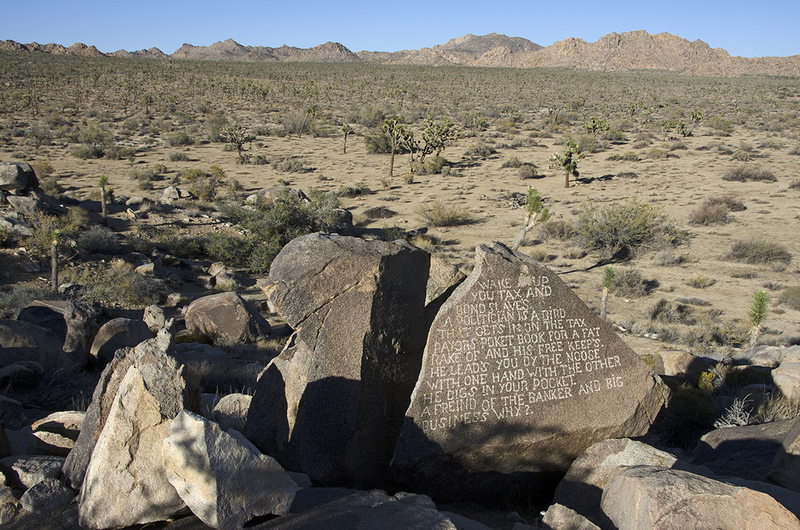 Not being an educated man, and perhaps also struggling with the English language, the statements that Samuelson carved through the desert varnish and into the rocks contain numerous misspellings and grammatical liberties. But that just makes them all the more interesting and poignant as we learn more about the man. One morning in February of 1928, Samuelson headed over to Quail Springs to fill up some water barrels and there met Earle Stanley Gardner, the author who would later become famous for penning the Perry Mason stories. 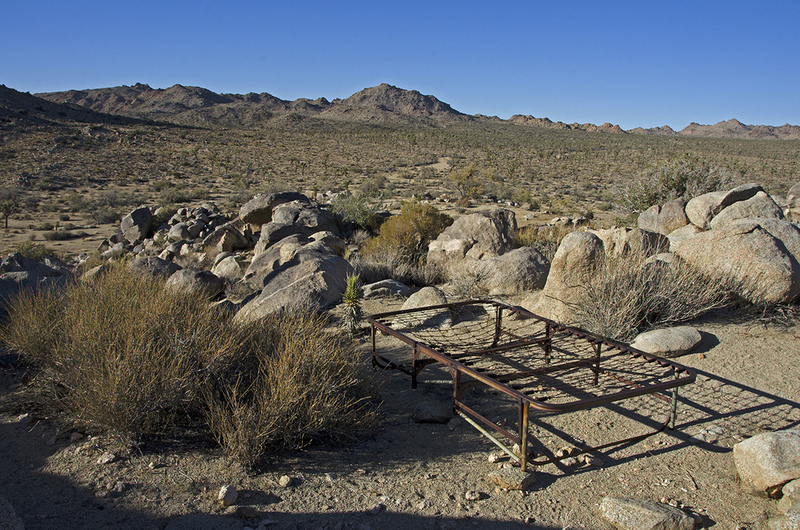 Gardner apparently liked to travel the wild places and was camped at Quail Springs in his “camp wagon.” On a later visit, Gardner invited Samuelson into the comfortable camp wagon and after a few “hot toddies” was able to coax the incredible story of how Samuelson came to be living in Lost Horse Valley. The tale included being shanghaied in Capetown, shipwrecked on a strange island, held captive by wildmen, a beautiful native princess, a mysterious “monkey man,” giant carnivorous ants, a fantastically rich vein of pure frost gold, sleeping sickness and finally escape. Gardner didn’t know whether to believe the story or not, but he bought the rights to it from Samuelson for $20 and later wrote and published the tale. Samuelson attempted to file for homestead on his property later that same year, but when the land office learned he was not a U.S. citizen they ruled that he could not legally hold title to the land. That was a crushing blow and he soon sold his claim to the Headington family and moved to the Los Angeles area with his wife. Unfortunately, his bad luck continued and while at a dance in Compton in 1929, he got into an argument with two men and killed them both. Arrested for the murders, Samuelson never went to trial. He was declared insane and was sent to California’s State Hospital at Mendocino. Was he actually crazy, or just extremely clever? We will never know for sure. He was sane enough, however, to escape from the facility in 1930. Evading the authorities, Samuelson made his way north and settled in Washington state, where he apparently found work in the logging camps. 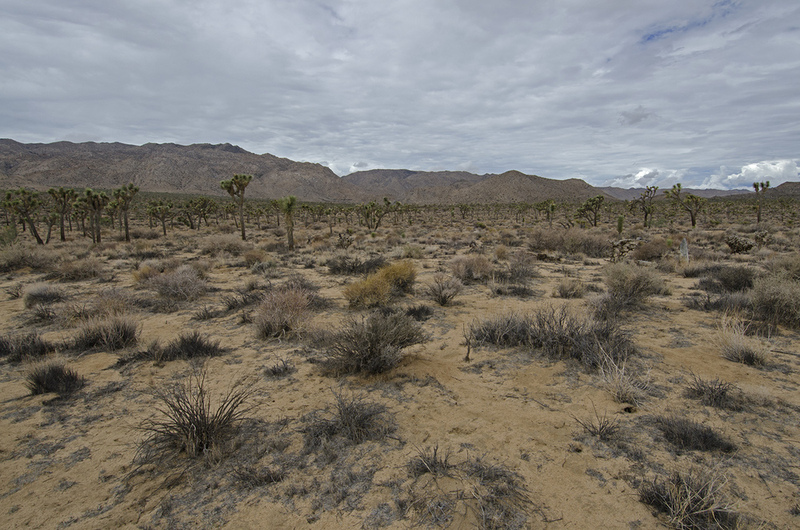 Bill Keys received a letter from Samuelson many years later in 1954, stating that he wanted to return to the desert but was afraid of being caught and sent to prison. Some time later Keys received a letter from the officials at the logging camp where Samuelson was working. He had apparently been seriously injured in a logging accident. Another letter soon followed, informing Keys that Samuelson had died as a result of his injuries. 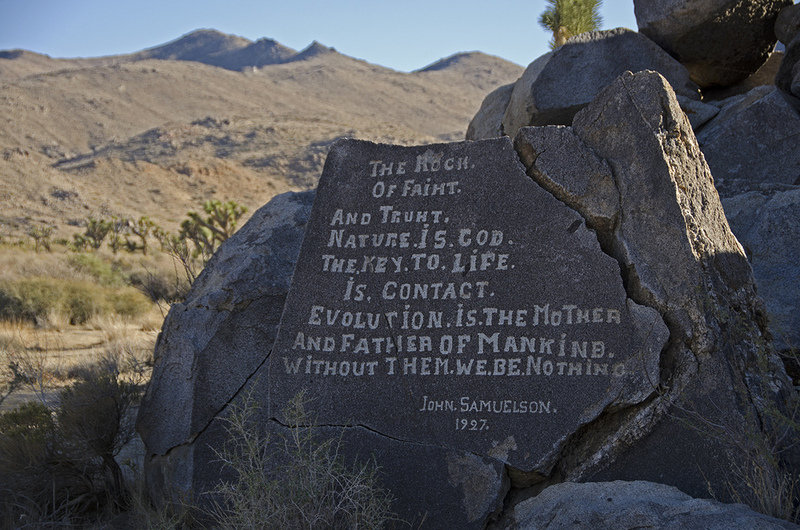 Although Samuelson’s home in Lost Horse Valley no longer remains (it burned to the ground in the 1930s), he left something much longer lasting, carved into the granite faces of seven huge boulders. He was proud of his work and knew his ‘eternal verities’ learned in the desert and carved into the stone would be there for centuries, long after he was gone. And as they are there, let’s go see what we can find. Murbachi and I parked at a small turnout on the west side of Park Boulevard, about two miles northwest of the Quail Springs picnic area. Through prior research we had pieced together some clues, landmarks and gps coordinates to assist us in our search. 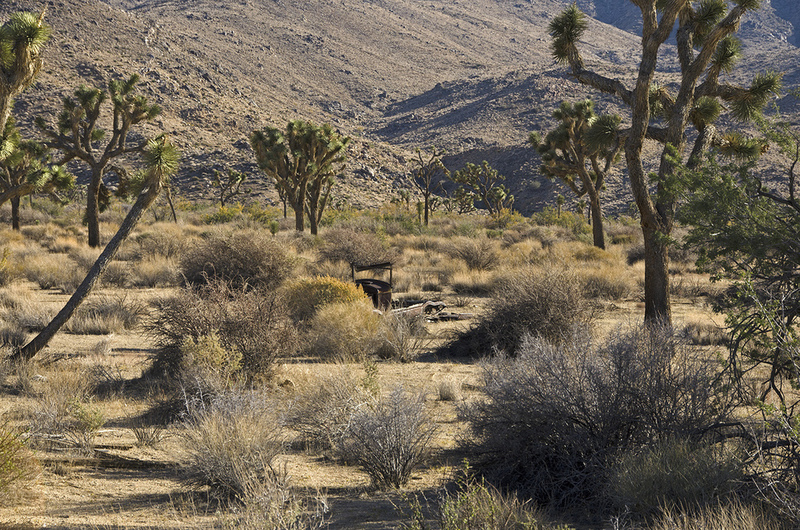 We gathered up our gear and surveyed the westward desert. 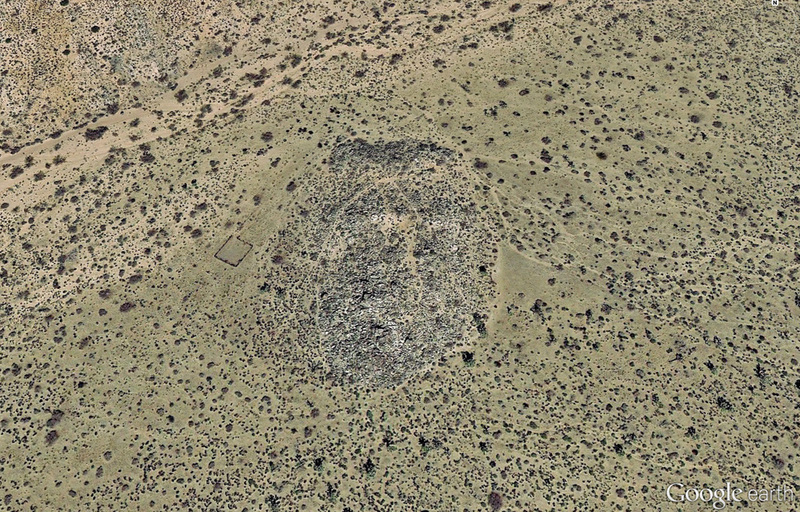 We knew that Samuelson’s rockpile was out there, as well as an abandoned homestead that was quickly returning to the earth. An old picture of Samuelson’s cabin had given us a distinctive landmark to look for; the hill behind his cabin has a jagged “backbone” of exposed rock running from top to bottom. It’s very easy to spot and that gave us the direction in which to hike. We knew his cabin was near his rockpile, so we headed out. Keeping the "backbone" in view as our landmark proved easy and it wasn't long before we stumbled across the old homestead I had been hoping to find. The first thing to come into view was an old truck. 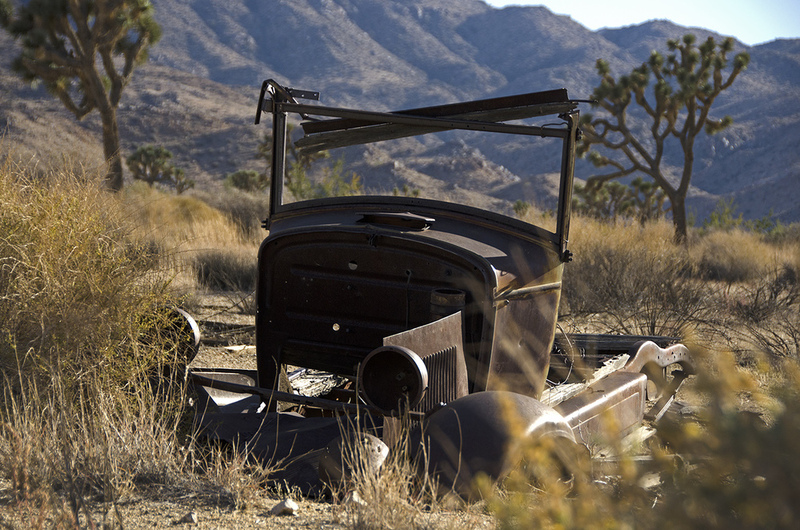 Not much is left of it but the frame, but I always enjoy finding the remains of old vehicles out in the wilds. A couple short, stone walls and cement foundation mark the cabin site. The workmanship is very impressive on the stone walls. The pile of wood right nearby is most likely the remains of the walls and roof. What makes this cabin really cool is that it had a basement. Walking down the steps into the cool darkness was a bit creepy, I'm glad there weren't any snakes or other critters making the basement their home. I'd guess that it may have been used as food storage as it would have been cooler under the house than anywhere else. 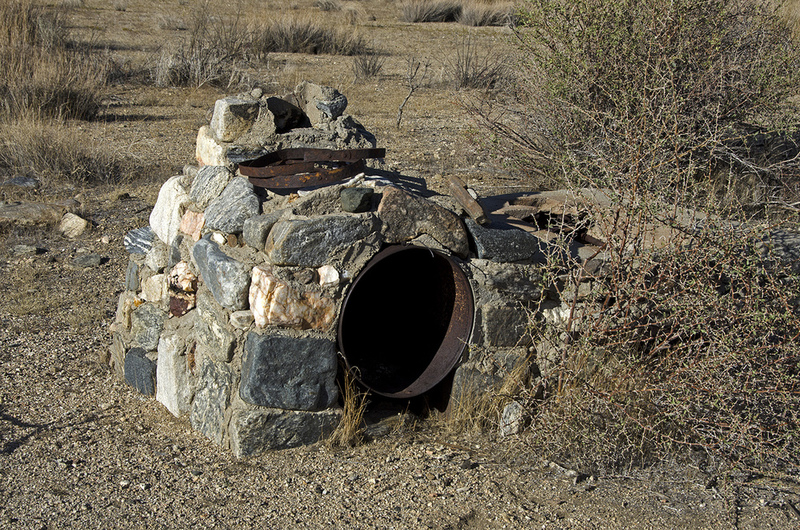 There's an interesting "oven" of some sort right near the cabin ruins, at least I'm guessing it was an outdoor oven. Other bits and pieces of Desert Gold (household and ranch trash) are scattered about the area, making for an interesting afternoon of poking around. After exploring the ranch area, we headed out towards our landmark and before long had arrived at the huge mound of rocks. The mound is approximately 170-yards long by 110-yards wide, maybe 40-feet tall at its highest point with a circumference trail of about a third of a mile. Now it was time for the fun part: finding Samuelson's Rocks. The first one was easy, it is the only one at ground level and is also the only rock that Samuelson signed. It's located at the north end of the mound. From there, Murbachi and I split up and began scouring the area, following various trails that wound through the rocks. We eventually found all seven rocks. Be warned, one is a bit of a trickster and has two flat sides with inscriptions; the hidden verse being a bit around the back of the rock and not visible unless you really look for it. A couple of the rocks are pretty high up on the sides of the mound and took some scrambling to get to. I actually got some better photos of those on my second trip by standing on the desert floor and using a telephoto lens. With all the rocks found, we considered the trek a success. A bonus is the wood corral directly west of the rock mound. It is very photogenic and gives credence to the tales of cattle once being grazed out in this area. There's a huge water tank a bit farther out, as well as some other scattered ranching debris. I'm sure that a more thorough search of the area would turn up additional interesting artifacts. I'll save that for the next trip out to Samuelson's Rocks and maybe Quail Springs, to see what else I can find. The following pictures were taken on two separate trips. For more information about Samuelson's story, check out THIS link.